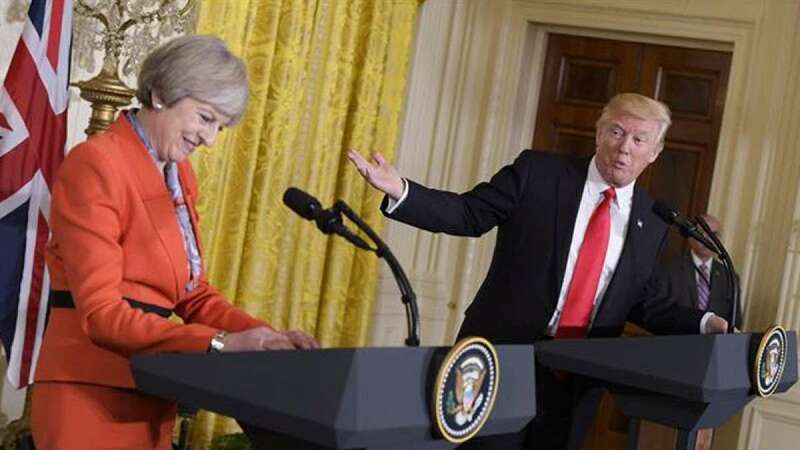 Washington : US President Donald Trump spoke over phone on Tuesday with British Prime Minister Theresa May on Syria, as the possibility of US military actions against Syria was looming large. Both leaders condemned Syrian President Bashar al-Assad for his "disregard for human life," Xinhua cited the White House statement as saying. Trump and May also agreed "not to allow the use of chemical weapons to continue," according to the statement. Trump has been mulling response to the alleged "chemical attack" that occurred in Syria on Saturday. On Monday evening, Trump said that the US is "going to make a decision tonight or shortly sinces" on the Syria incident. "We're making decisions as to what we do with respect to the horrible attack that was made near Damascus. And it will be met. And it will be met forcefully," he said. Activists, local rescuers and rebels in Syria claimed that the Syrian government forces used chlorine gas on Saturday in an attack in Douma, a rebel-held area near the Syrian capital Damascus. The Syrian Foreign Ministry denied the accusations, saying the rebels' claims were "premeditated pretexts," according to the country's state-run news agency SANA.